Does your company have a customer who is not paying your invoices? 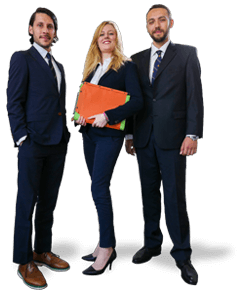 Our debt recovery lawyers have the means to make your debtor pay as yet. From the moment you hand your debt recovery matter over to us, we will do our utmost to collect your money. We, a debt recovery law firm, have more than sixty years of knowledge and experience at our disposal to assist you with your commercial debt recovery. Consequences in the event the customer does not pay within this time period. Debt recovery lawyers have more means at their disposal to put pressure on your debtor than a debt recovery agency or bailiff. In addition, we can assist you during both the extrajudicial and the extrajudicial phase. This saves you time and money. We will always provide you with straightforward advice concerning the likelihood of success of your debt recovery matter. Putting your interests first is important to us. So we invariably consider what would be your best option. That is the reason our core values are integrity and justice. The debt collection process can be divided into two stages. During the extrajudicial phase, collection takes place without Court intervention. During the judicial phase, we do involve the Court. Because we are a law firm, we can assist you during both stages. Most matters are resolved during the extrajudicial phase, without Court intervention. Announcing legal proceedings: Often, announcing legal proceedings will convince your British debtor to pay. Order for payment: unlike many European countries, there is no national equivalent in England & Wales to an ‘Order for payment procedure’. Ordinary civil proceedings must be commenced. Winding-up / bankruptcy petition: Unlike in other European countries (for example, the Netherlands), petitioning for bankruptcy is not very fast or cheap in the United Kingdom. It is seen as a ‘last resort’ in the debt recovery process. In England and Wales, it takes several months and is quite expensive. Therefore, it’s crucial to discuss whether this is right for your case with a Solicitor.